Are you a creature of habit? Do you do things that seem odd to others but make total sense to you? I buy pairs of things – two packages of rotary cutting blades, two packages of needles, and so on. One for now and one for the next time I need it. Makes sense, right? Except that having recently moved, I found all those “extras” I had put away and then either couldn’t find or forgot about when I needed them. Did you sew this weekend? After reading Barbara Brackman’s post the other day about Turkey Reds, I decided I wanted to sew-along and make 6″ Sawtooth Stars. I thought about making one star a week, then decided I should make three to catch up for the weeks I’d missed. Then I decided to make two a week so I could have hundred stars at the end of the year, enough for a nice-sized scrappy star quilt. Perfect! So I pressed and cut enough pieces for about thirty blocks. I intended to make two stars. No, six would be better, that would catch me up. I made fourteen. I’m going to try to keep up with the two-a-week plan because I think it’s safe to assume that it won’t be long before I’ll be busy getting ready for that Market-thing. 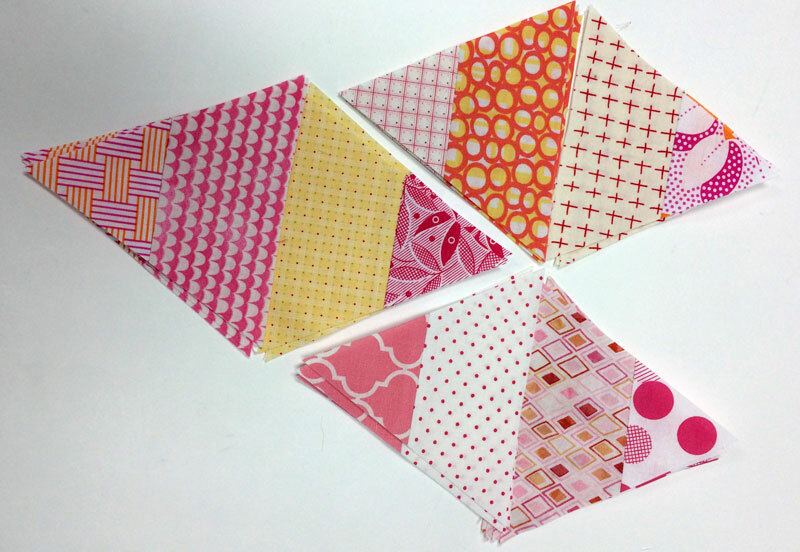 I also cut into those Mix It Up Monday pink fat quarters. I love these X-Plus blocks and since I’m one of seven quilters who hasn’t made this yet, I decided to cut strips and pieces. Coincidentally, I’ve made three blocks so far. I think I’m going to make 36 blocks for a 60″ x 60″ quilt – the blocks finish at 10″ x 10″. And because there’s just something about a new rotary cutting blade that makes a girl want to keep cutting… I cut strips for one other “on my list” quilt. I’m going to need more fabric – more pink, yellow and orange. And backgrounds. So three projects started – and no, I didn’t get my Snapshots block done. I got the pattern and… that’s as far as I got. I’ll do better next weekend. The last “three” is an easy one. Three tote bags – three winners. One of the sweet ladies in the office provided the random-I-don’t-know-any-of-these-people-selection service. Ladies, if you’ll check your e-mail boxes, there’s an e-mail waiting for you. As for the rest of my Monday… I’m not sure what or where I’ll be. The existing furniture is being removed and built-in cabinets are “supposed” to be installed tomorrow. That means there isn’t any place for the computer. Or for anything else. Lovely starts, Carrie 🙂 Can’t wait to see more. I can see you love those moment so piecing. Enjoy! Ohh thankyou so much!! I’m so excited! Cannot wait for it to arrive. What a great start to my day. I feel so “on trend” because I decided (independent of any bloggy happenings at the time)to make sawtooth stars this year, and now I seem to be seeing them everywhere I look….. happy accident 🙂 but I have only made 2, not 14!!!!! I started on those stars too but pieced mine by hand. I only got 2 done!!! 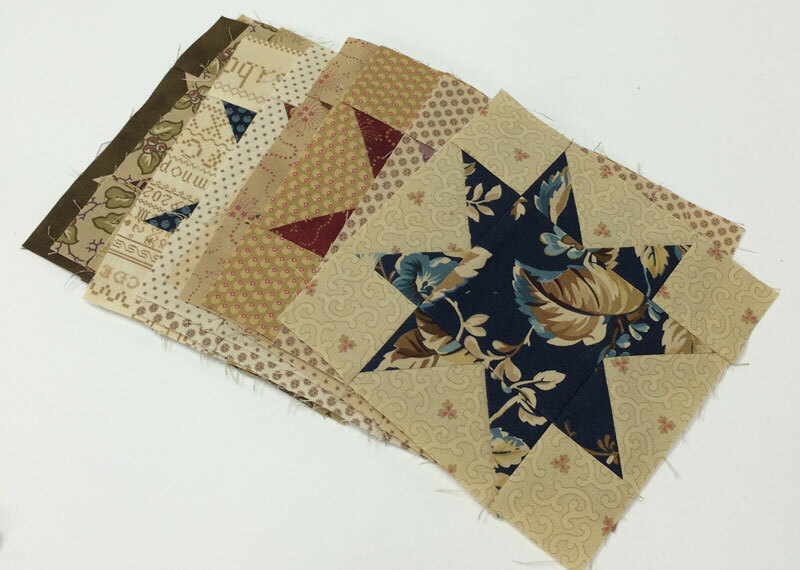 I am so enjoying your Cutting Table blog posts. I am absolutely going to make those Sawtooth Stars. Someone nice gave me a bunch of Civil War charm packs that will be perfect. hI can hear the ” I love my job, I am at home, I am happy, in your writings. Lots of hugs your way. I love all your blocks!! To be working full time and making such gorgeous blocks~ you are amazing! Have a happy week! Here you are, you little devil. I really like those two blocks. I am having a quilting resurgance after being a lazy slug for a couple of years. Thanks for your input. Just like some of the others and you, I’m jumping on one of the “block a week” wagons and doing 6 inch churn dash blocks in totally scrappy fabrics but using a solid for the background. I did the first 2 the other day to “catch up” then decided that I better cut a few more so I did 5 more and cut for 5 down the road…. We are all creatures of habit and I for one wouldn’t have it any other way. I’m making the X-Plus blocks with a friend from NC. We are doing them scrappy as well and are mailing one another 8 a month till we’ve had enough and then we’ll stop. Your blog posts are such fun and “sound” like you’re really enjoying yourself there. Hope it continues to be fun. I love your X-plus blocks! Wow! When you start, you don’t waste any time! 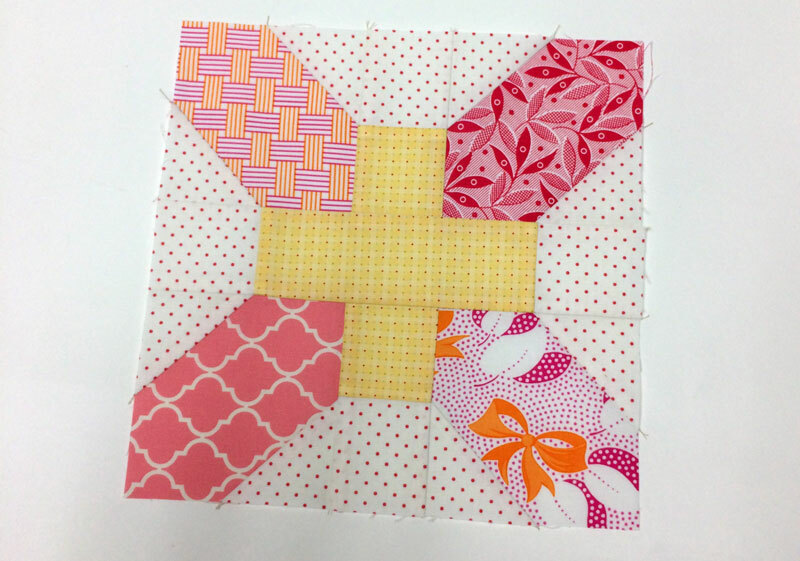 I am another of the seven quilters who have not made the x and + quilt! That is what I plan to start! Loving your posts! Great job! Moda is SO LUCKY to have you. Your blog posts are awesome. I followed you on your personal blog and honestly I wouldn’t be surprised if Moda sees an uptick in sales because of you and your blogging. Love your Civil War Stars, I’m making them too. I realized (thanks to a recent move of my own) that I do this with post-holiday sale M&Ms. I would buy a couple of bags – one for the freezer, one to eat – but by the time the Christmas M&Ms that I left out were gone, the Valentine’s Day M&Ms would be on sale, so I’d repeat. This went on for at least a couple of years. I think I ended up moving nine bags of M&Ms half-way across the country. No more candy purchases until they’re gone! Your star blocks are beautiful! Thanks for the link to Barbara’s blog—-I love i! I have always loved her rich, fabric lines and am very interested in our quilt history. I better get started making some stars so I can catch up—hope to have enough for two nice-sized quilts by the end of the year.